Since we believe that heat is a major factor in human life, TESY focuses its long-term experience, innovation and fervor on offering heating and hot water solutions. 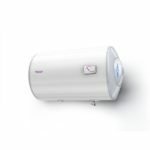 With a lot of zeal and bold dreams the Kyurkchievi brothers established the company in 1990, and 25 years later it introduced the "smart" water heater with Internet control. View cart “Tesy BILIGHT Water Heater 50L Horizontal 5Y” has been added to your cart.